Talk’n listen underwater! Connected divers. Wireless underwater transceiver unit, with the autonomy of approx. 30 hours in receiving mode, and range of operation of 200-250 meters (calm sea water), Light weight, powerful single channel and “push to talk” communication system make the GSM Gdivers the perfect addition to any training class or guided tour, for extra safety and for fun! 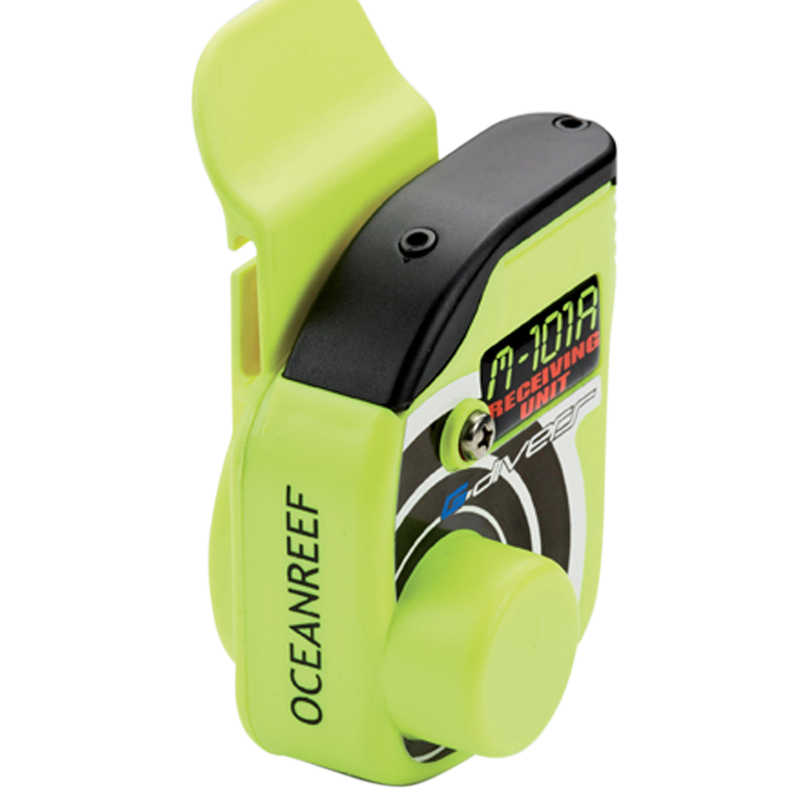 The unit operates on the same frequency as all other OCEAN REEF units and most popular wireless communication units on the market.The GSM Gdivers uses a 9V alkaline battery and has a “low battery” alarm which beeps every 30 seconds when the battery is low. The M101A G.divers is a receive-only unit operating on one channel. 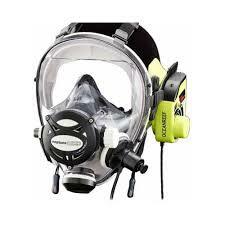 The M101A fits on any conventional mask strap or full face mask models. It might be held and shared by more divers thanks to the high quality speaker. ) 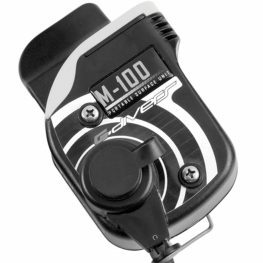 The M101A uses a 9V alkaline battery and has a “low battery” alarm which beeps every 30 seconds when the battery is low. The M100 G.divers is a portable surface transceiver unit that may be worn on the operator’s belt. This is a high performance, compact, and easy to use unit. It is made to respond to the demands of communicating with divers in action without carrying expensive, complicated and heavy units. The size of the main unit is similar to a cellphone. The main unit has a PTT (Push to Talk) button and a headphone/microphone connector. The unit turns on when the headphone/microphone is connected to the main unit. The unit turns off automatically when the headphone/microphone is removed. A 10 meter (33 feet) transducer cable connects to the main unit and is lowered into the water.